Rok Hwang believes it's important to try everything on during the design process - he has his team wear each piece and walk the length of the studio to get a real sense of the fit and feel. 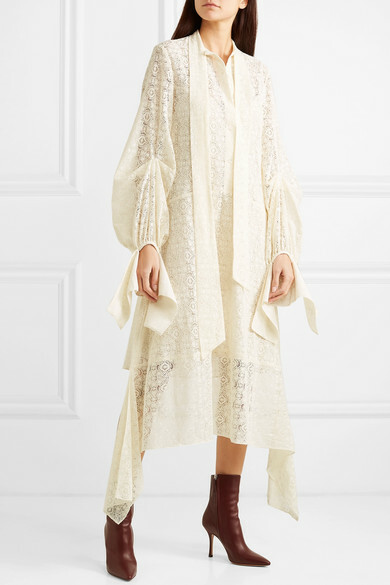 Cut from semi-sheer cotton-blend lace that loosely skims the body, this dress has a swishy, asymmetric midi skirt and exaggerated, split cuffs that reach past your fingertips. 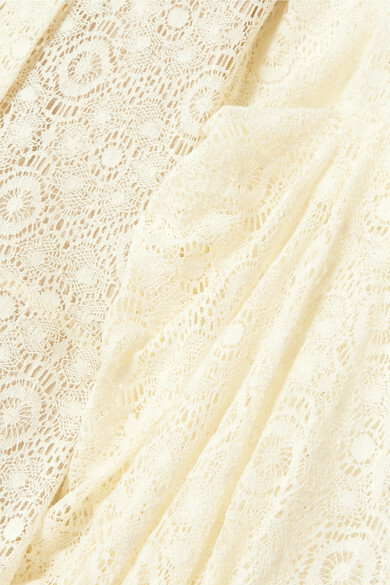 Leave the neck ties undone so that they drape down the front. 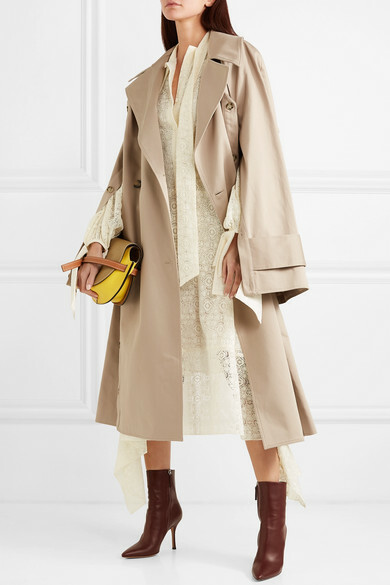 Shown here with: Rokh Trench, Loewe Shoulder bag, The Row Ankle boots.